Over the past several years Hold Security has seen hackers traffic 5 BILLION unique, unencrypted stolen credentials on the Dark Web. 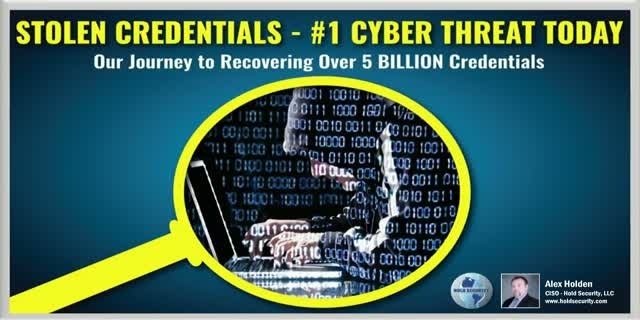 Hackers use some of these credentials to breach the most trusted systems and commit the most heinous cybercrimes. Join us to learn about the process of recovering stolen credentials from the hackers and alerting the victims.